Jewish Voice for Peace opposes anti-Jewish, anti-Muslim, and anti-Arab bigotry and oppression. 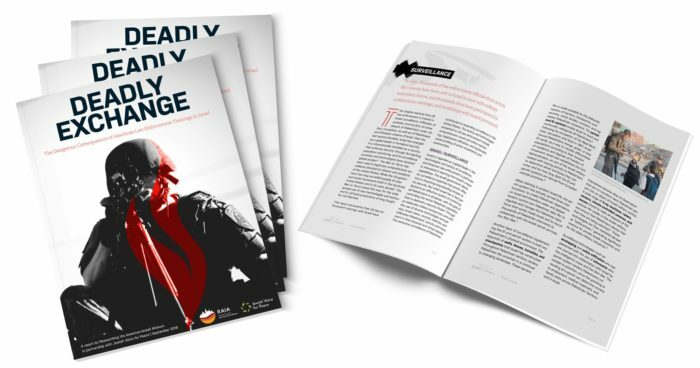 JVP seeks an end to the Israeli occupation of the West Bank, Gaza Strip, and East Jerusalem; security and self-determination for Israelis and Palestinians; a just solution for Palestinian refugees based on principles established in international law; an end to violence against civilians; and peace and justice for all peoples of the Middle East. Current mission statement adopted in 2009.
agreement, the refugees should have a role in determining their future, whether pursuing return, resettlement, or financial compensation. Israel should recognize its share of responsibility for the ongoing refugee crisis and for its resolution. JVP students push their universities to divest, build campus chapters, and fight unjust censorship of Palestinian voices. Our Academic Advisory Council brings together faculty committed to an open discussion of Israel/Palestine on campus. We support churches in their efforts to align their values with their investments. Our Network Against Islamophobia supports organizing against Islamophobia and anti-Arab racism. We can’t change U.S. policy without changing Congress first. With our huge grassroots base, members of Congress are paying increasing attention to our message that all people deserve justice, fairness, and equality. Artists and cultural workers help us envision justice and dream of a better world. The JVP Artists and Cultural Workers Council comprises writers, musicians, visual artists, filmmakers, dancers, and more. We are challenging institutional Jewish communities to act on values of justice, and our Rabbinical Council and Open Synagogue Network are paving the path to justice-centered Jewish communities. 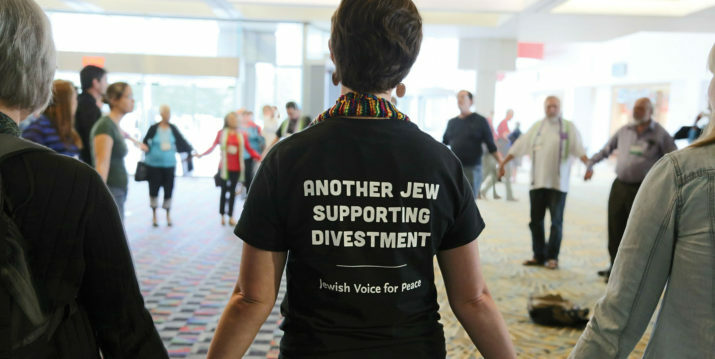 JVP answers the call for Boycott, Divestment, and Sanctions (BDS) made by Palestinian civil society through strategic, dynamic, and effective local and national campaigns.